Copyright © 2002 by Tatsuhiko Takimoto. For many recent college graduates, it’s hard trying to make it in the real world. With the glorious Internet to keep us social and still free to procrastinate, and the global economic crisis, it’s hard to just make a dent in the job and life market like before. So shows like Welcome to the N.H.K. are very helpful to those of us who belong to “Generation Limbo.” It’s about kids in their twenties trying to find work and meaning in life, living with the pressure of families and society, and trying to achieve some sense of self-worth and independent living. Oh, and it’s also about fighting conspiracies by the NHK, a broadcasting company in Japan that apparently wants to keep us all locked in despair. Yes, it’s that kind of story. Tatsuhiro Sato is not just an unemployed college dropout. He’s also a classic hikikomori, a Japanese-style shut-in who lives comfortably off an allowance from his family and avoids physical social contact. And thanks to his older classmate and high school crush Hitomi, Sato half-lives in a dream state where all his problems are the result of a conspiracy known as the NHK–the Nihon Hikikomori Kyokai (Japanese Hikikomori Association). 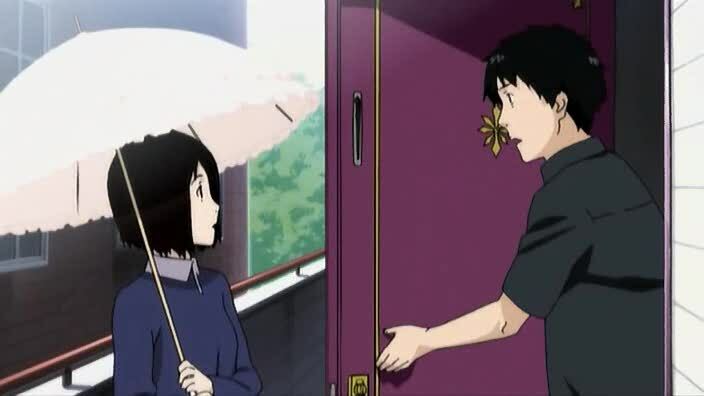 However, things change when he meets a seventeen-year-old girl named Misaki, whose project is to help Sato overcome his hikikomori tendencies. Meeting her brings Sato on a journey through the world of otaku, gal games, suicide attempts, MMORPGs, and pyramid schemes. 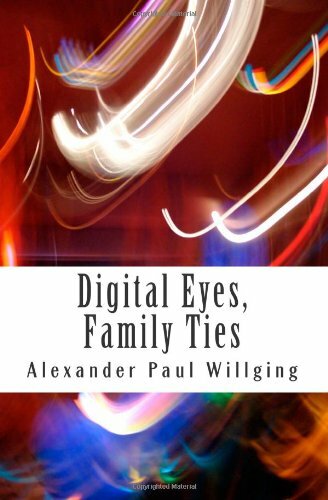 He meets up with old friends from high school, makes new ones along the way, and learns more about himself–and Misaki–than he ever expected. 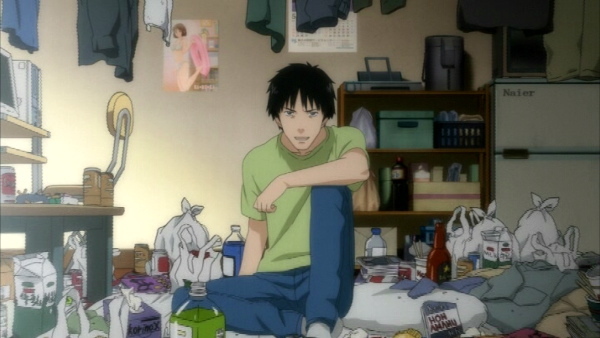 Sato is the protagonist of the show, a hikikomori struggling between his desire to be more social with others and his anxiety over social contact, mixed with his paranoid fantasies regarding the NHK. He finds friendship and potential love with Misaki, a seventeen-year-old girl who lives nearby, but as we learn later on, even she suffers from her own tragic past, against which she tries relentlessly to keep on with Sato. Other characters serve to highlight the different directions that Sato’s path could have taken. His neighbor and longtime friend Yamazaki is an otaku and game developer obsessed with gal games and magical girl anime, who pushes Sato to try and help him develop their own game and prove themselves as true “creators.” And then there’s Hitomi, Sato’s senpai and longtime crush, who is obsessed with conspiracy theories and is something of a femme fatale. What I noticed most about this anime is that it’s a real slice of life work. Anything fantastic can be chalked up to Sato’s fantasies and daydreams, while the rest of the show is a realistic portrayal of the life of hikikomori, otaku, and college dropouts. The characters and scenery are all drawn fairly true to life, and except for the aforementioned fantasy sequences, much of the soundtrack is soft and meandering, much like Sato’s day-to-day life. But don’t mistake any of that for it being dull. I have to address this anime on two levels. As a reviewer, I found the story to be quiet but deep. It’s a slice-of-life series about the quest for meaning and the struggle between comfortable isolation and socially awkward interaction. It’s a story about being an introvert in a world of extroverts, or being a young person with few to no prospects in a world full of “successful” adults. As a young person and college graduate, I found this series to be both a magical and haunting experience. It’s magical and haunting for precisely the same reason: because in some ways, I’ve been there. I know what it’s like to feel shut out from the world, to have no prospects, no job on the horizon, no sense of what my education’s going toward or whether I’ll amount to anything as my life goes on. And yet, much like Sato does, I’ve gone through the depths of despair and slowly climbed back up the mountain. I’ve stared down my fears and my shame and realized that things do get better, that sometimes desperation is just what you have to face before you can start to succeed. For that alone, I love this show and the creativity that went into it. 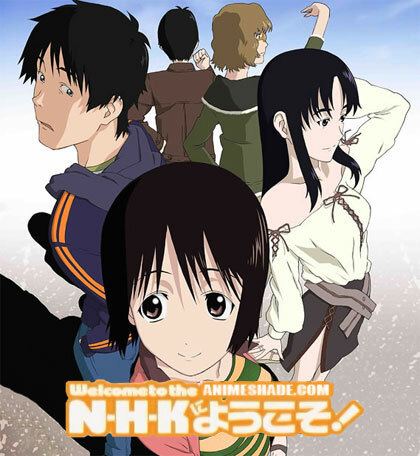 Bibliography: Welcome to the NHK (anime). Directed by Yusuke Yamamoto. Based on the manga by Tatsuhiko Takimoto. Gonzo (studio); Funimation Entertainment (US release). July 9, 2006 –December 17, 2006.